We love that this coat can be swapped between mum and dad so whoever is carrying can use it if you buy a size that fits the larger person. And it is a truly affordable option! 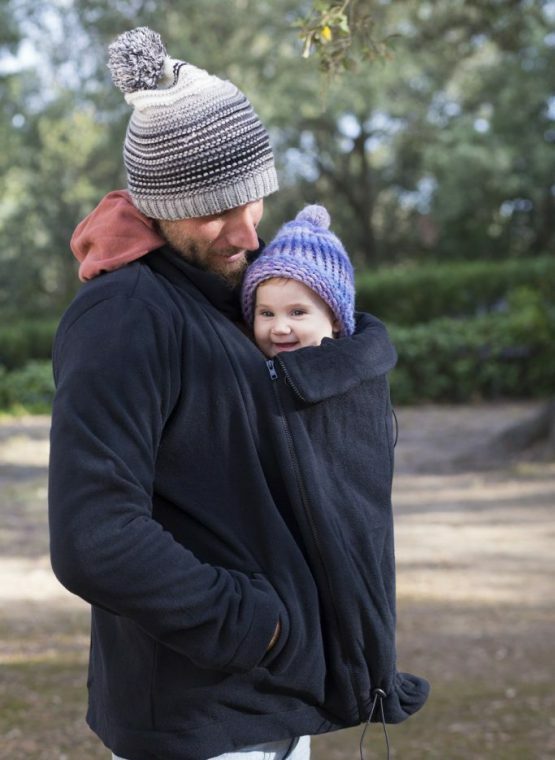 The Momawo Fleece Mom&Dad is a fantastically versatile garment. It can be worn 4 different ways (or 5 with an extra panel). 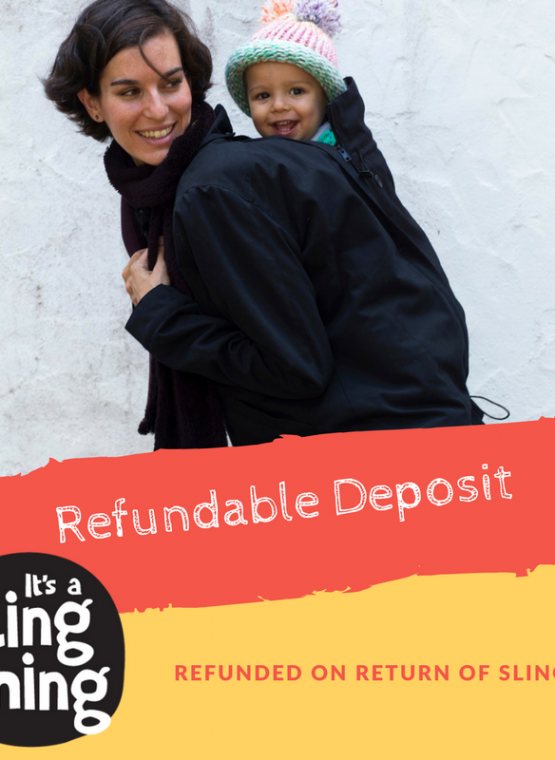 You can wear it with no panels as a standard coat, with one panel on the front, elastics tightened for a flattering maternity fit, with a panel on the front for keeping parent and baby warm in a front carry, or panel on the back for a cosy back carry. The thing that makes these coats so different from the other coats on the market, is that in a back carry there is no “now throw the coat over your child’s head and try to get their head out of the hole! Instead you put the coat on as you would any other coat and then do up the collar between parent and baby to ensure a snug and draft free experience. 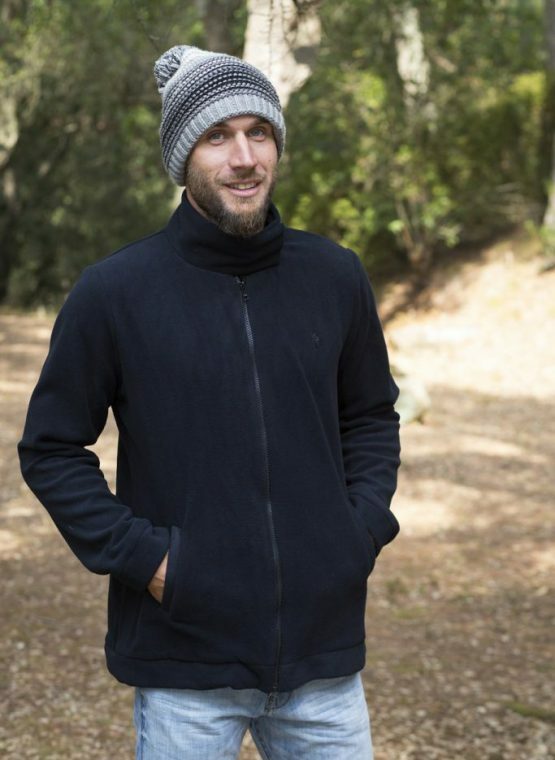 This coat is highly functional, and warm with good pockets. For the Mom&Dad coats deposits are £25. Members need to pay this deposit.